OGRE are either deaf or retarded - probably both. ‘Bastards of Death’ is on the money, it produces some great, memorable but brutal Death Metal. It’s just pure, blood-slathered, old school death metal just like your parents used to love. Check out the new OGRE Deathumentary. This documentary, or “Deathumentary” (if you will) documents the disappearance and return of death metal gods OGRE, with exclusive footage of the “Heralding of the Machine” at the Lake of the filthy turds and some very rare footage of an interview with the band at their hidden forest castle ruin. 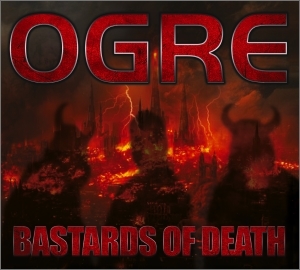 One of Ireland’s original death metal bands, OGRE (The Dark Lords of Doom), from Ireland and Australia, have released their first album in nearly 20 years. Back in the 90s the band discarded their mortal bodies and went their separate ways, travelling inter-dimensionally on a pilgrimage into the void of Space/Time to each study different facets of the Universal Chaos, so that upon their return they could merge their twisted powers and implement the total destruction of mankind. The most senior member of OGRE is Forthron The Evil, an omnipotent inter-dimensional mystic older than Time. His adopted son, the pagan warrior Chewed Giblet, and hallowed cohort John De Baptiste (the famed Prophet of Babylon) make up the Trinity of Unconditional Power that is OGRE. Upon completion of their epic inter-dimensional sabbatical, Forthron returned their three minds to earthly bodies and used his time-travelling ability to take Giblet and De Baptiste into the near-future to witness the last days of humanity on earth, the Final Apocalypse of Mankind orchestrated by Forthron’s own dark magick. 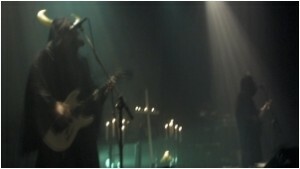 Through their intense meditations they have succeeded in converting these horrific dream-visions and apocalyptic experiences into the music that forms their latest album (to be released early-2014). Evil, perverted, depraved, filthy, simple old school death metal is their preferred musical medium. “Bastards of Death” is considered by many theologians to be a 100% certain account of what awaits us in an undetermined near-future. His Holiness Gunter Paul VII has stated “these are the most important devotional writings since the New Testament… a powerful and lucid prophecy” (Crescent & The Crucifix – February 2013 edition). Inside sources from the Vatican have reported that Pope Benedict XVI heard a preview copy of the album and it forced him to reassess his entire life. He decided to retire so he can become a hermit and study the writings of Forthron, the true Messiah. These musical prophecies are interlaced with actual harrowing TV and radio news reports from the time of the apocalypse in the not too distant future! Sounds like the rantings of a bunch of lunatics? Some say not. You be the judge. See what awaits you. The latest album “Bastards of Death” is now available to buy on CD or MP3. 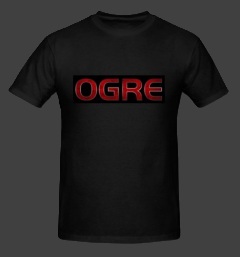 The OGRE Shop is now open!